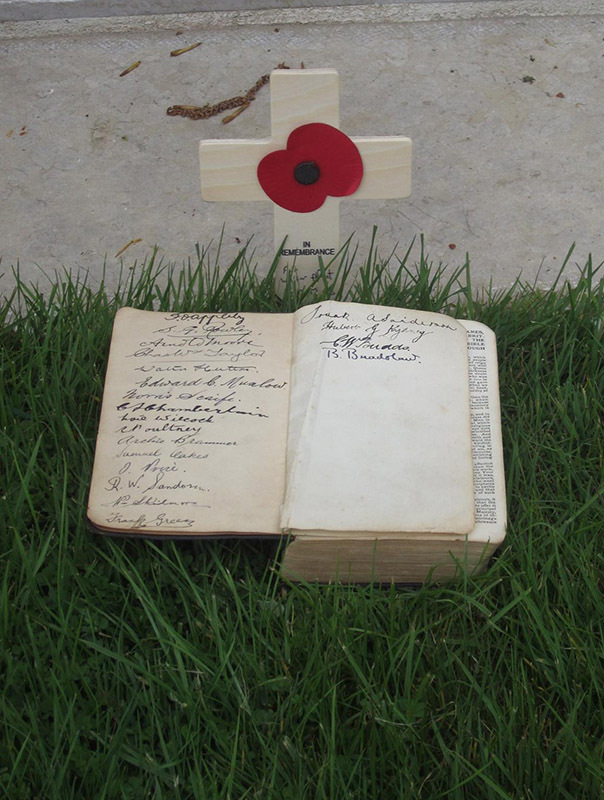 He was Private 847 ‘D’ company, 12th Bn. York & Lancs Rgt. Born at Sheffield on 31/12/1895. 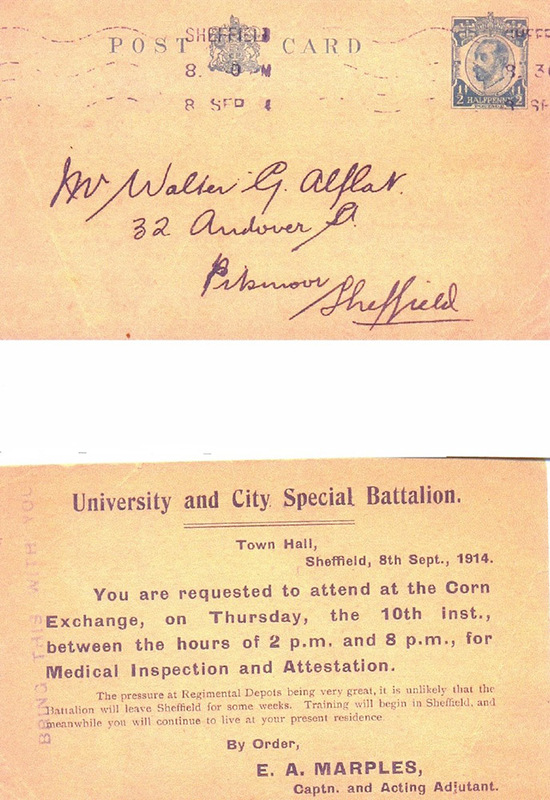 Walter enlisted on 10/9/1914, serving for 1 year and 316 days before being Honourably Discharged through shell shock. He died at Sheffield on 15/3/1957. 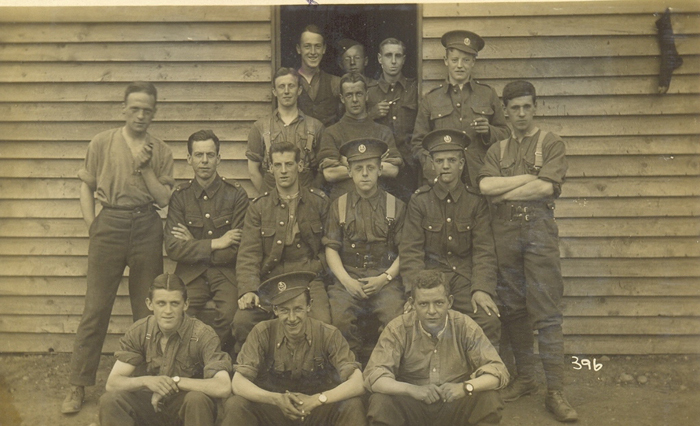 2nd row sitting, 2nd from left, 12/953 pte H Hickson. Standing extreme left, 12/965 Pte W Hutton. 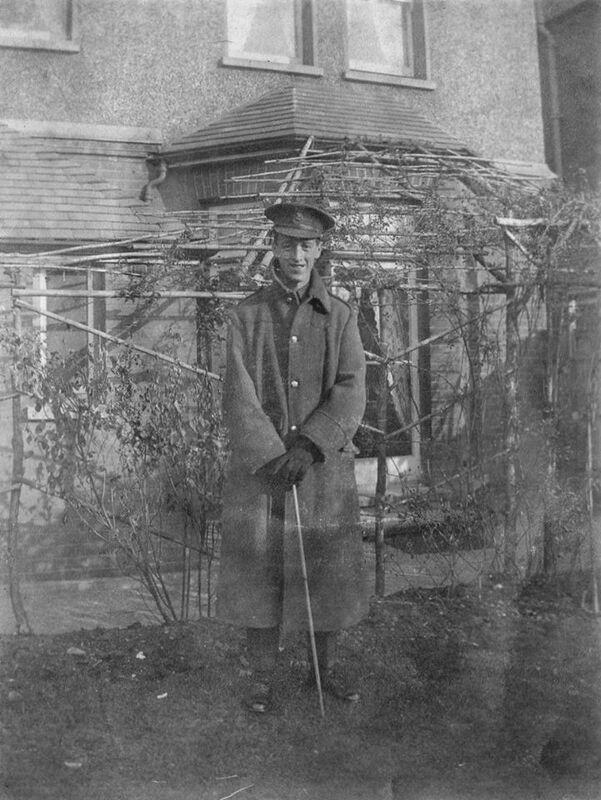 Standing in centre of door with rolled sleeves and crossed arms, 12/1042 Pte N Scaife. Standing in doorway on left, 12/847 pte W G Alflat, centre 12/1040 Pte R Sanderson. Standing to right of door 12/1022 Pte O Price. Another photo of Walter "X"